Beautiful nails, either painted or bear, are the best accessory ever! The one fashion statement you can make without spending a fortune is sporting wonderful nails that everyone envies. But I have to admit that good nails do not come easy and can’t be grown overnight. Most people who have naturally strong and sturdy nails are either genetically blessed or maintain a very healthy diet. Either way, if you are not one of those people, having nice nails is going to require some extra effort. Most of us can judge nail quality based on their shape, size and colour as well as frequency of chipping and breakage. If you are victim to the following nail problems all the time, there are some natural remedies which may be of help. Read on and find out. Apply warm olive oil or coconut oil on your nails and cuticles before bed every night. Both deeply nourish the nail bed, thus promoting growth. Soak your nails in fresh orange or lemon juice for 10 minutes every day. Follow up by washing and moisturising them. Vitamin-C-rich, these juices aid collagen production and hence nail-growth. Prepare a solution of equal parts raw apple cider vinegar and water. Soak your nails in it for a few minutes every day. Rich in magnesium, potassium, calcium and iron, apple cider vinegar will make your nails stronger in no time. Mix a few drops of tea tree oil with vitamin E oil. Apply on nails and leave overnight. The solution will deeply hydrate your nails, nourishing them such that breakage reduces. Always apply a clear base coat before putting on other colours. Mix two parts of baking soda and lemon juice each with one part olive oil. Apply this thick paste on your nails and leave for a few minutes. Rinse off and moisturize. Repeat procedure every 2 weeks. Apply whitening toothpaste on your nails for a few minutes and then scrub it off gently using a toothbrush. Rinse off and moisturize. Do this 2-3 times a week till stains are removed. Always keep your nails trimmed so there is less potential to bite. Apply neem oil on your nails and allow it to dry. Whenever you bite on them unconsciously, the bitter taste will deter you for sure. 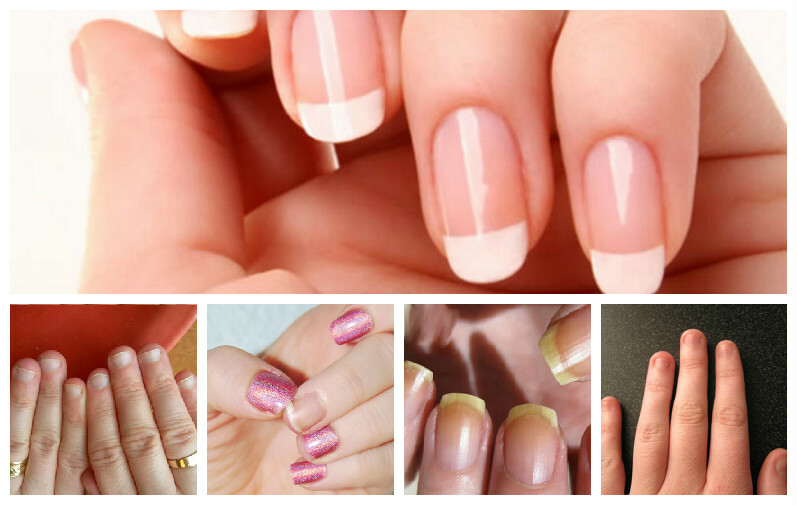 Wear artificial nails for a few weeks which will prevent you from accessing and biting your real nail. Hopefully that should cure you of your addiction.